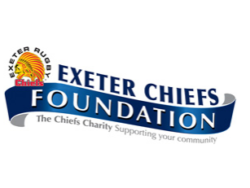 For the second year running, we are very fortunate to have our application accepted by the Exeter Chiefs Foundation. This foundation was set up to formalise charitable fundraising at the Exeter Chiefs Rugby Club by the club and a group of business partners passionate about helping in the local area. We will be taking part in a match collection at a home game in January 2019, if you would like to help we would love to hear from you. At the end of the season, we will receive a share from the monies collected for The Last Kiss Foundation. We attended the pre-season launch dinner with the charity cheque presentation event on 6th September 2018 and were blown away with the donation we received. We would like to take this opportunity to thank everybody who came and supported us with the match collection last season and look forward to seeing you all again.